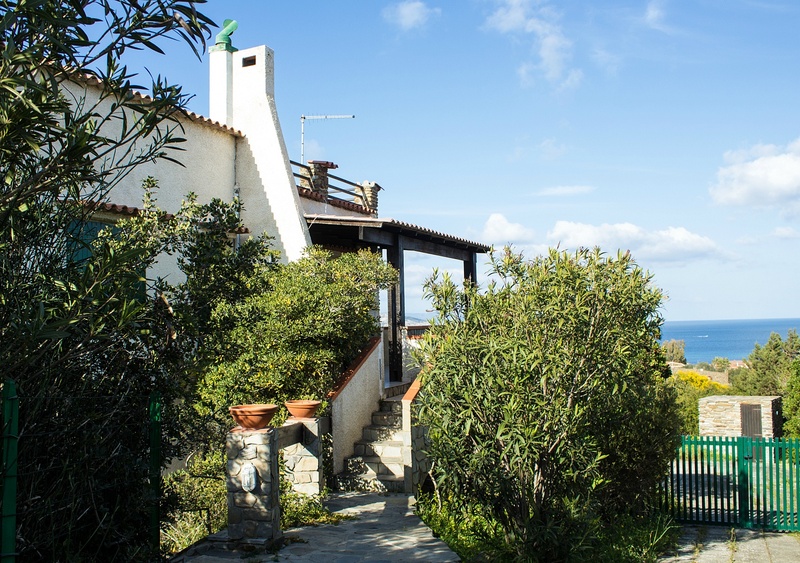 La Casa del Golfo is a panoramic 4 bedroom apartment sitting on the first and last floor of a typical Sardinian seaside villa. The villa boasts a breathtaking panorama over the world famous beaches of La Pelosa, which are a mere 15 minutes walk away. The magic views can be enjoyed from the private roof terrace equipped for al fresco dining and sunbathing. These features make La Casa del Golfo an ideal base for the active island explorer and for busy families looking for a truly secluded and private hideaway to rest. 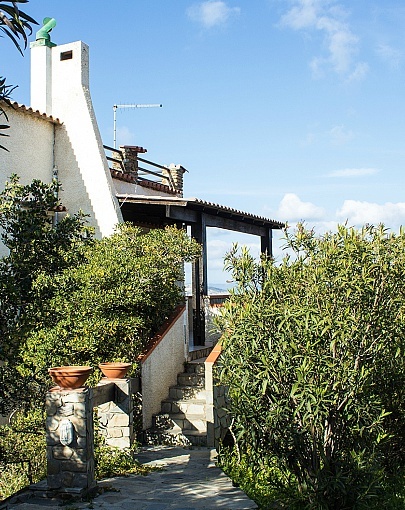 The house is surrounded by a lush and well tendered mediterranean garden for a truly authentic island atmosphere. La Casa del Golfo features two double bedrooms, one twin bedroom and one bedroom with a double sofa bed, three bathrooms with shower, a large lounge with panoramic windows over the gulf, a spacious and well equipped kitchen and the roof terrace – a real gem! La Pelosa beach (Spiaggia della Pelosa), with its shallow turquoise waters and salty white sands, is a true Sardinian oasis and arguably one of the best beaches of Europe. One of the westernmost beaches of Sardinia, La Pelosa is just 2 kilometers away from the harbour village of Stintino offering marvelous views of Isola Piana situated 600 meters off the coast and the larger Isola Asinara behind it. La Pelosa beach is accompanied by an ancient sixteenth century watchtower, the Torre della Pelosa, that used to be part of Sardinia’s marine defense system. Since this is a popular diving area, there are two diving centers in the vicinity.